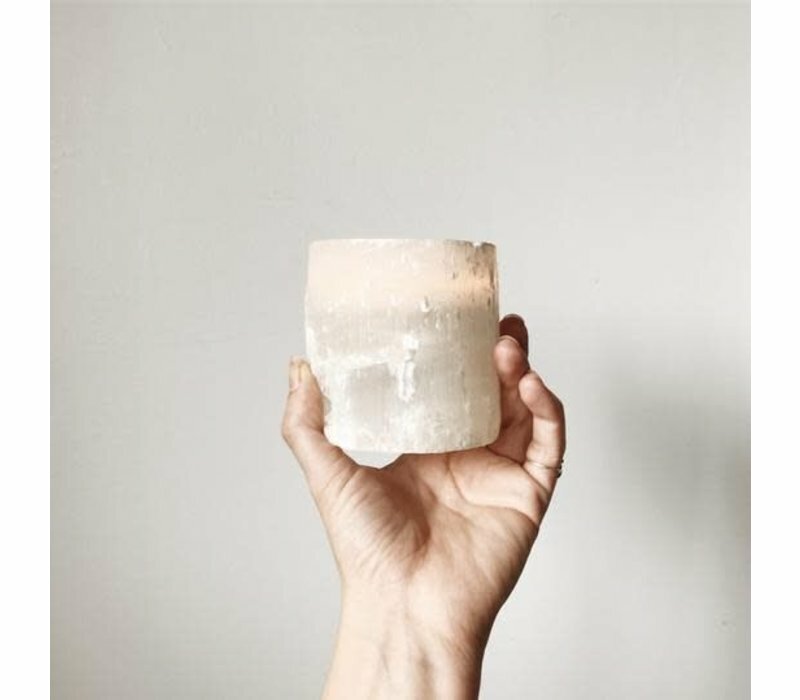 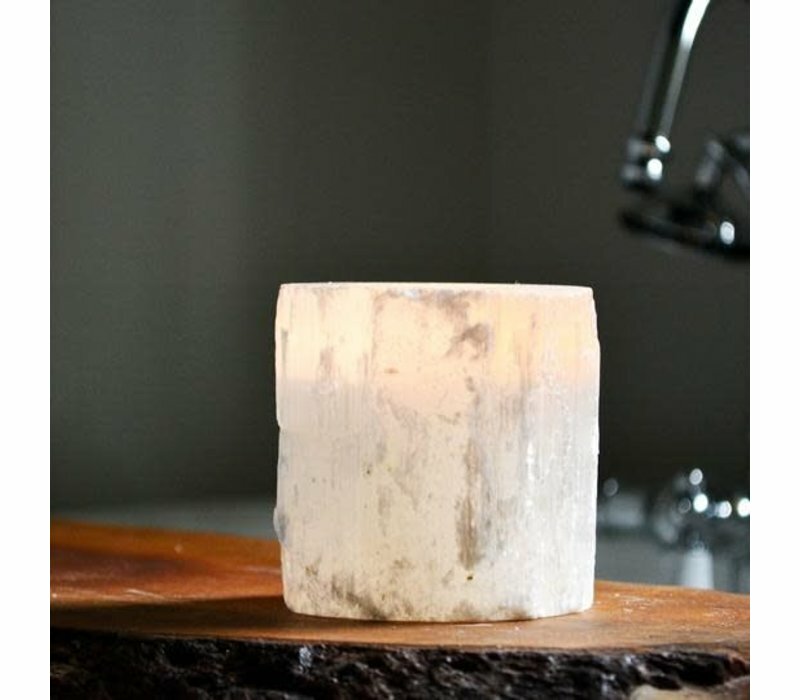 Restore balance to your space with a Selenite candle holder. 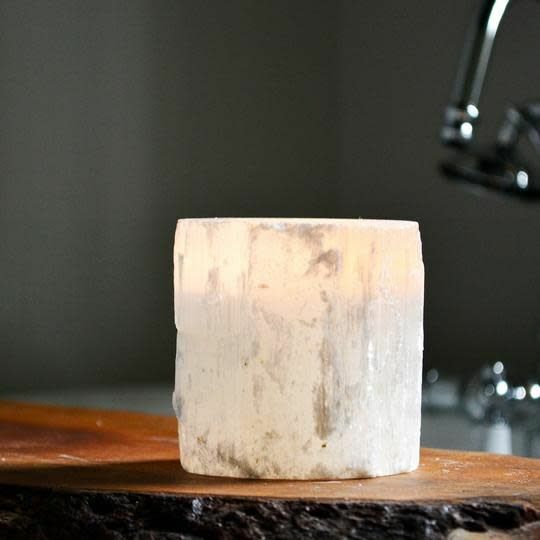 The stone for peace and tranquility will add a perfect cozy glow to any table top. 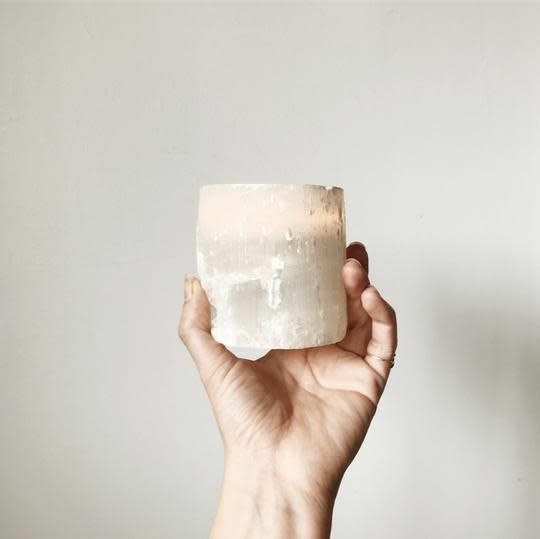 Width: approx 4" // Height: approx 5"
As every stone is one of a kind, candle holder varies in shape, size, and color.